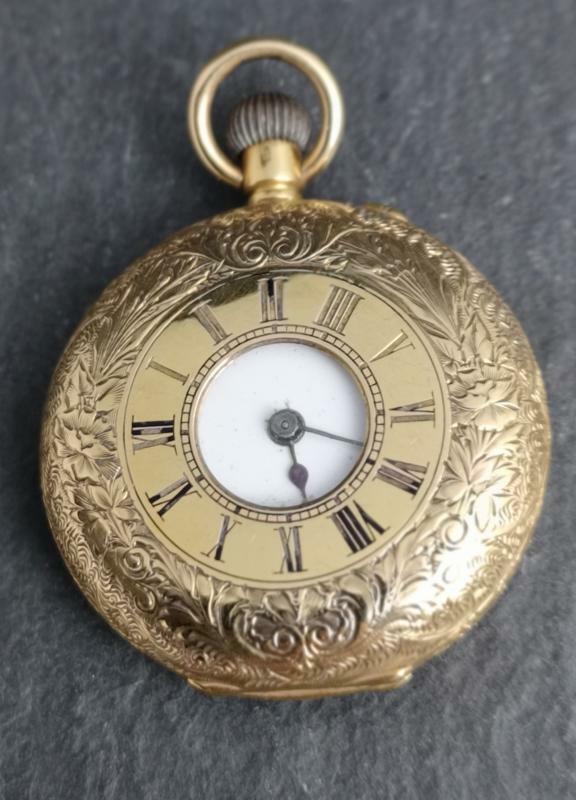 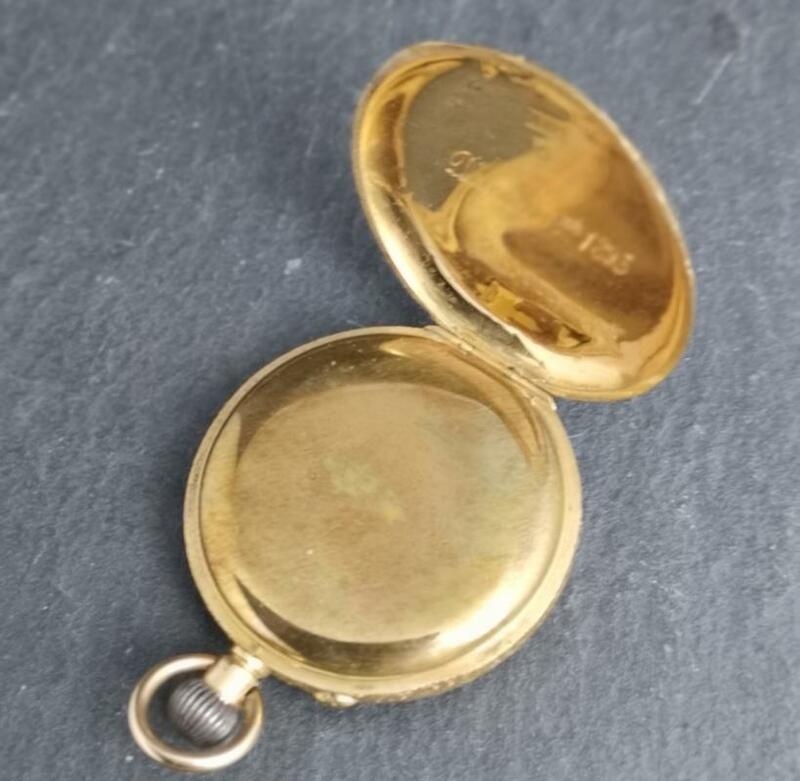 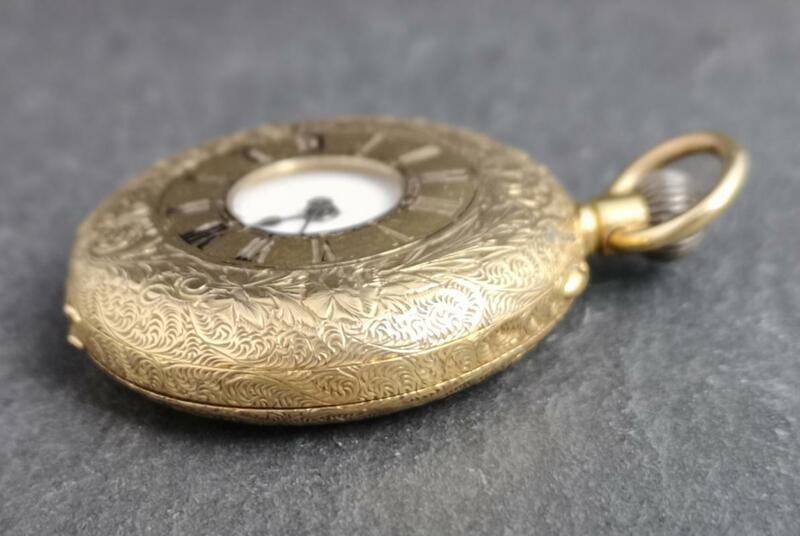 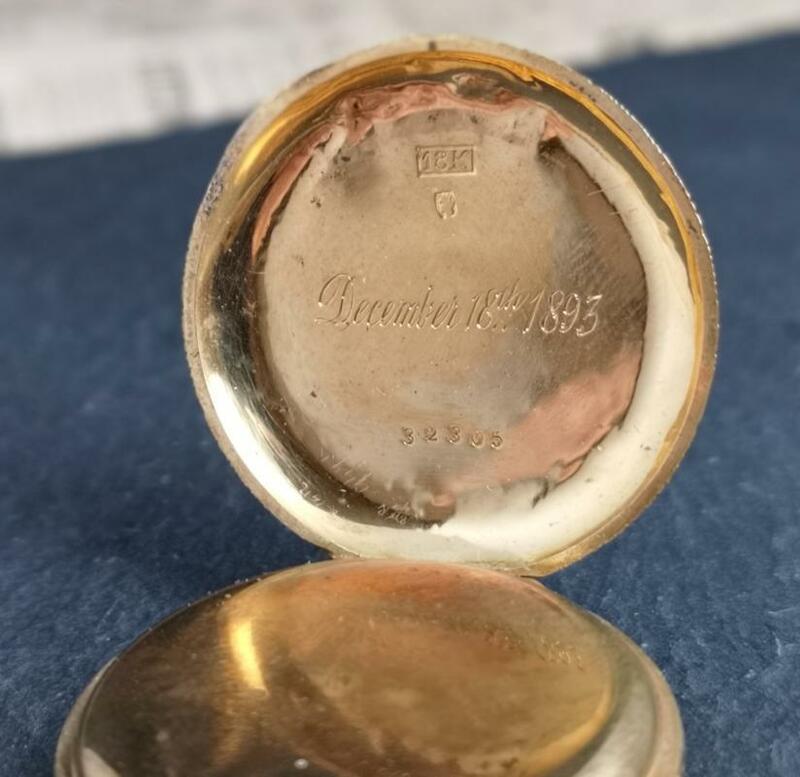 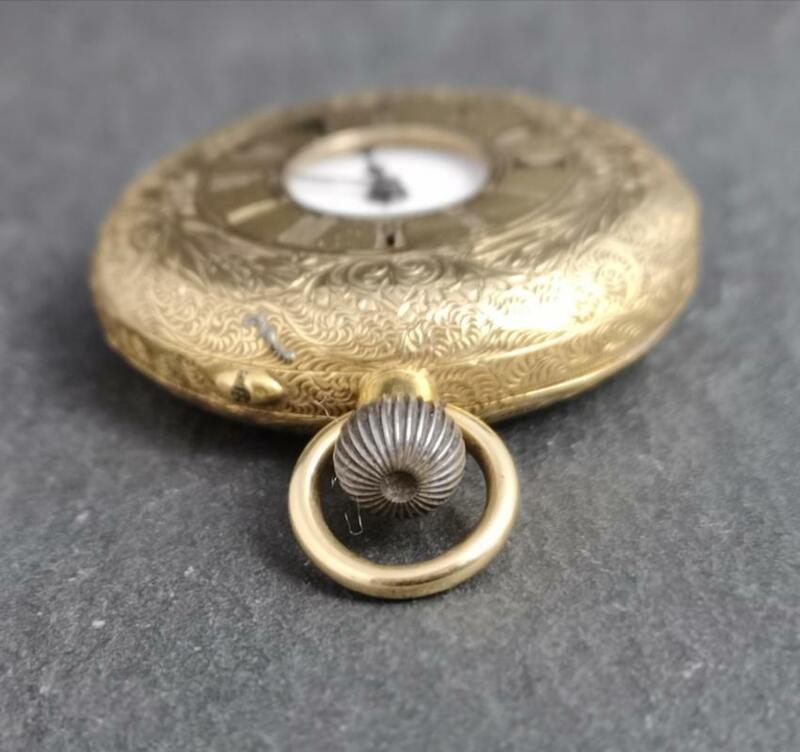 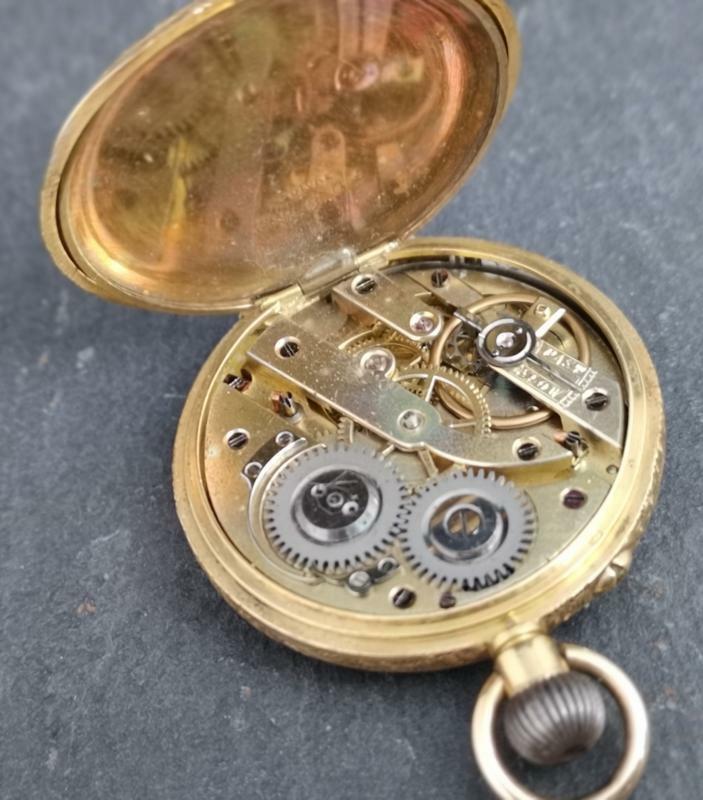 A very beautiful antique, 19th century 18ct gold half hunter pocket watch. 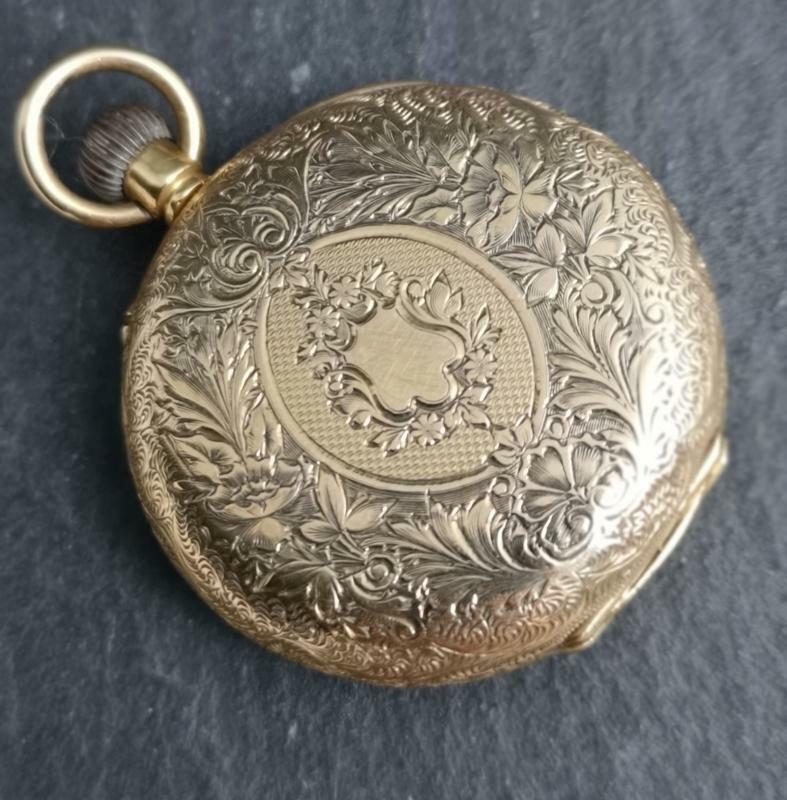 Finely engraved outer case with a small vacant cartouche to the back so could be personalised to gift. 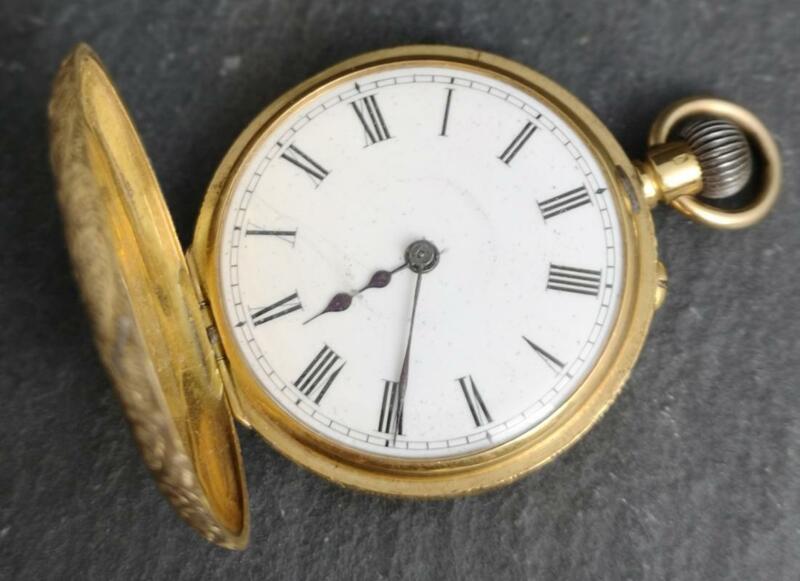 Good condition overall, working, minor loss to the black enamel numerals on the outer case.